What’s Japanese for Scotchy, Scotch, Scotch? Cars. Electronics, and now booze. What do these things have in common? Things the Japanese have put their own indelible stamp on and raised standards around the world for. Recently, I was able to attend a Washington State Bartenders Guild event at Liberty Bar featuring Yamazaki and Hibiki whiskies. Gardner Dunn, the brand ambassador for Yamazaki led a session on the history, makeup, and production of Yamazaki and Hibiki. Even more importantly was the fact that he was here as part of an effort to get more of these onto the shelves here in the US and more importantly to me, Washington State. The bad news first, the three labels that will be coming here or are here, Yamazaki 12, Yamazaki 18, and Hibiki 12 are not exactly what you would call cheap. Then again, neither is that three latte a day habit. It’s all a matter of priorities. If you can afford both, more power to you, as for myself I’ll buy booze thank you very much. 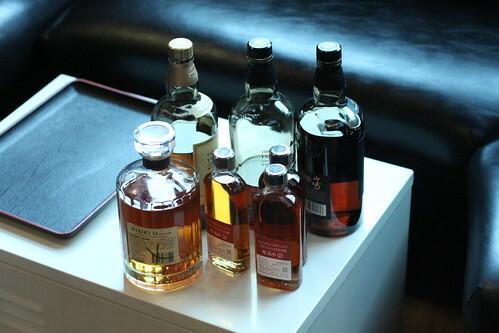 We started the essential part of the morning by tasting the various components of the whiskies. After distillation they’re aged in one of three types of casks, American Oak, Spanish Sherry Oak, and Japanese Mizunara Oak. The one that is not at all like the others here is the Japanese Oak. I learned that because of it very tight grain and the nature of the wood it takes much longer for the distillate aged within Japanese Oak to reach maturity, like years and years longer than other oaks. 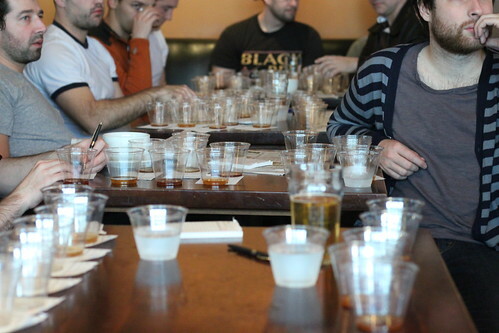 Being able to taste what each wood brought was great, but the Japanese Oak really stood out. There was a level of spice to it that approached that of rye whiskey, it was distinctive and completely different from anything else I’ve ever tasted. Thank Yahweh for people who are willing to take a let’s see what happens in an asston of years attitude. 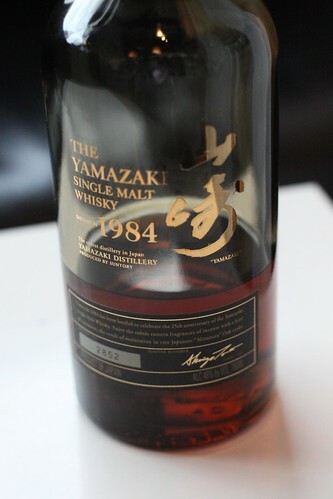 The two standouts of the morning for me were the Hibiki 12 and the Yamazaki 1984. I mean duh, pretty much a no-brainer there. The Hibiki is a blend, a delicious delicious blend, balanced with good woody notes and it goes down smooth and nice bits of vanilla come through. I can’t wait to be able to get it without paying huge amounts of shipping! 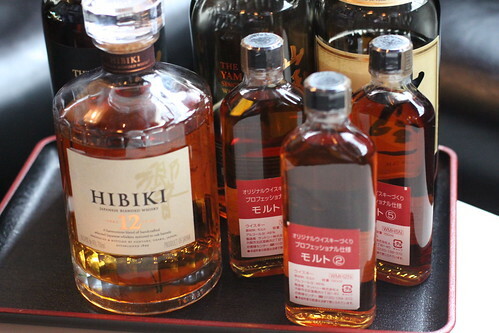 I’m looking forward to being able to get these and other Japanese whiskies here this year. It’s about damn time!